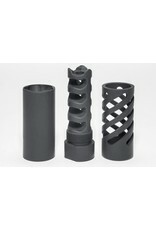 Our New, 3 Piece, Directional Muzzle Brake for rifles with 5/8-24 threaded barrels is the ultimate muzzle brake system. 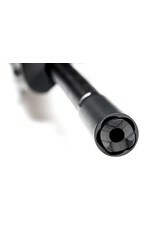 With two external shrouds this brake system can be used with no increase in sound to the shooter or bystanders at the range. 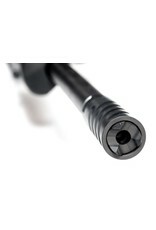 This brake WILL take off the recoil and keep the barrel down during repeated firing. These are CNC machined from 416 stainless bar stock at our shop here in Southern Colorado. 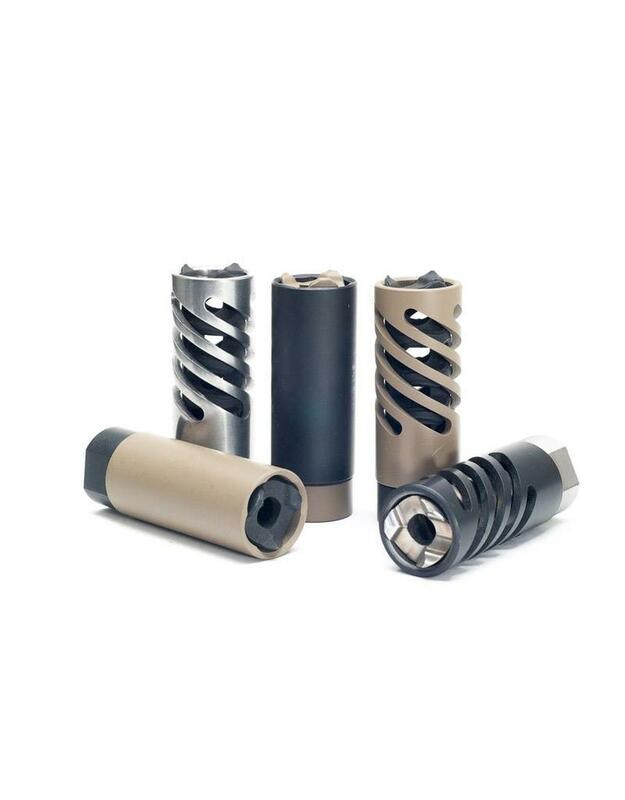 Smooth Stainless, Graphite Black or Flat Dark Earth finishes available. With the Solid Shroud attached to the brake base perceived noise is drastically less than what would normally be heard with a regular muzzle brake. Ideal for range sessions, and hunting! 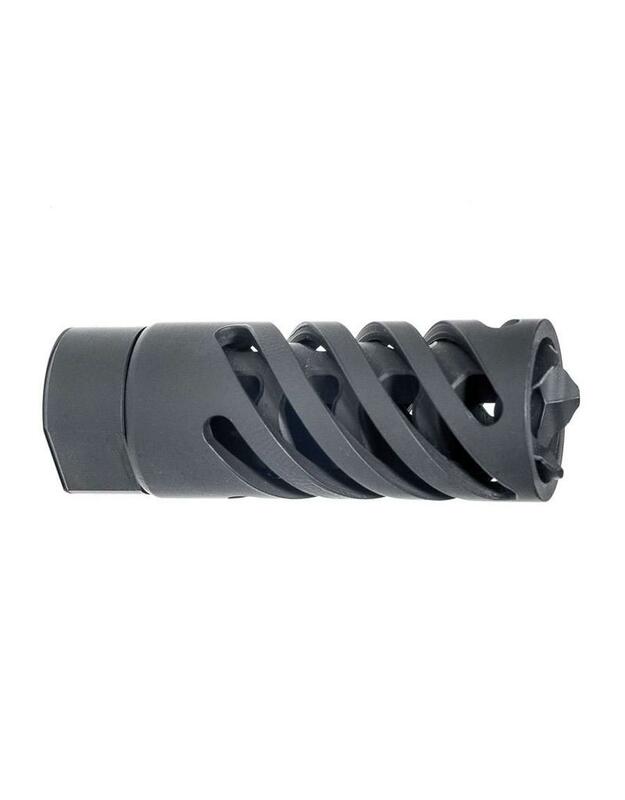 With the Spiral Shroud attached to the brake muzzle flash is virtually eliminated, and a small increase in effective recoil reduction is achieved. 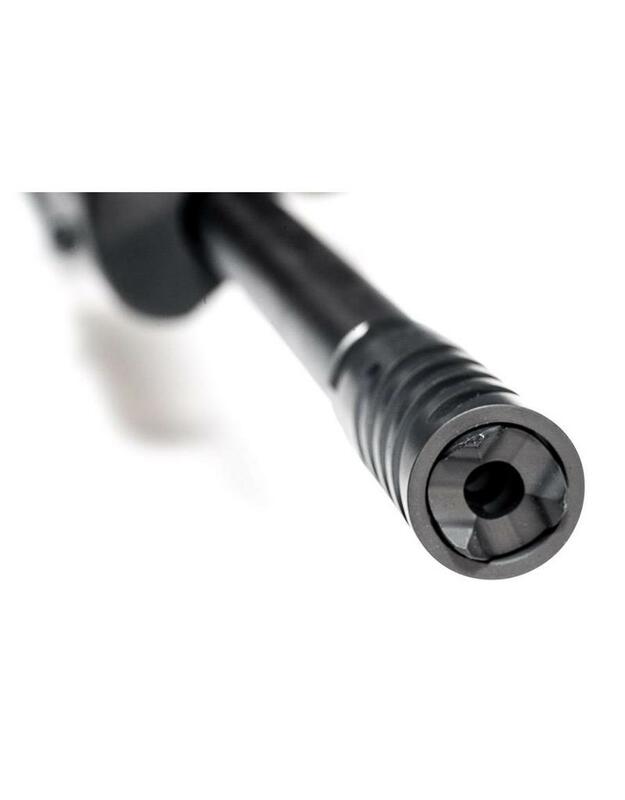 These Directional brakes are threaded 5/8-24 and bored for your particular caliber. This brake is 2.25" in length, and .995" in diameter at the widest point with one of the shrouds attached. This item is made to order, you will receive a confirmation email as soon as your order is shipped. This standard product works as designed and advertised. 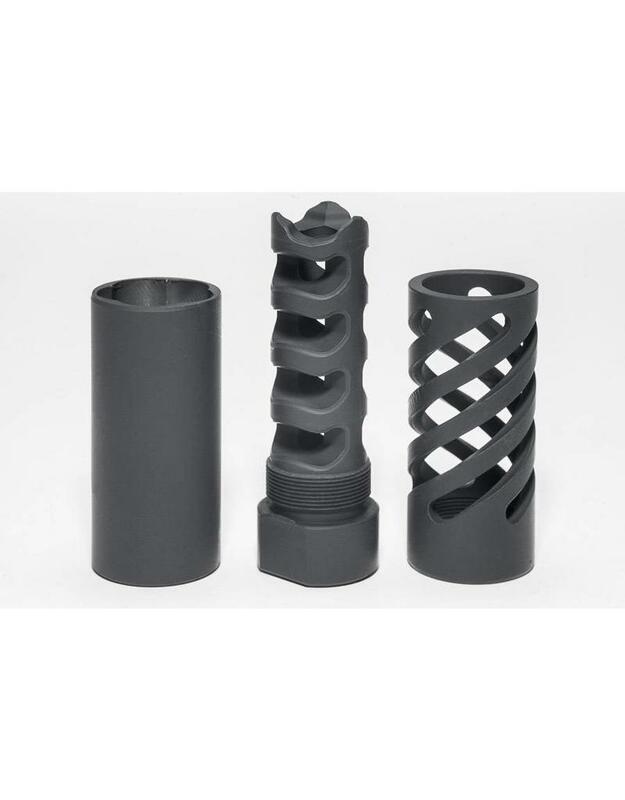 I was really impressed by the amount of reduced recoil, muzzle flash and noise suppression this product offers. Very impressive. I have had this for about a year and a half now, as advertised. 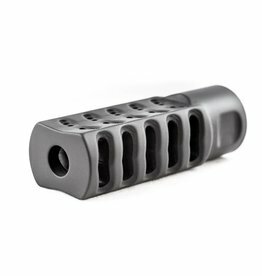 Has fantastic recoil and does have some good sound suppression as well, which is always helpful. 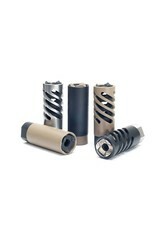 Like all Witt Machine products its works how it's designed to work, your products just amazes me. 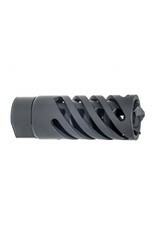 That's why for all my rifles and rifle parts you have my business always. Thanks again!